Visualize your company’s data. Build amazing maps and share them locally or with the whole world. Speed up the decision making process and focus on the core business. Leverage Google’s top-class cloud infrastructure. 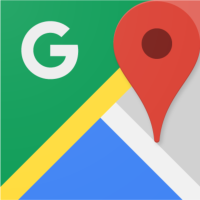 Google Maps for Work (GMfW) is a GIS system which let you visualize your spatial data on top of Google Maps, unlock hidden meaning in your vast amount of data and present your information in a more meaningful way. GMfW enables you to create complex multi-layered maps from your data. You can import spreadsheet and make all of those row and column numbers show on top of Google Base Map. In such way you can focus on what is important for your company and by sharing your visualised data with colleagues you can make better decisions. The core of the system is Google Maps Engine – the cloud platform that stores and process your geospatial data. The integration of engine with both Google Maps and Google Earth let you make your final product in both two (2D) and three-dimensional (3D) space. You can easily share your maps with users outside of your organization too, across all devices such as smartphones, tablets, laptops and more. You can embed your maps and publish it on your website, make your own applications based on the map and stylize the map to tailor it in a unique way. Optimizing people and assets have never been easier with Google Maps for Work Pro and Google Coordinate package which empowers you to improve efficiency of your mobile teams via real-time location information and job management functionality. Take advantage of well-known user friendly web interface and engage your users to spend more time exploring your products and services.